You went to the lair, you killed the Mantis Queen and her little mantis followers.. and now you want your Mantis Weapon Upgrade?! Too right too, strive for being the best of the best. To get your upgrade you need to visit Eastern Fouls Plains. 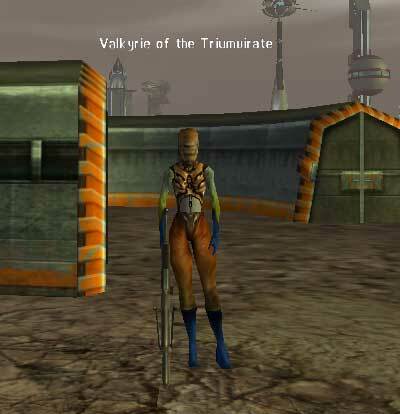 and her guards, Valkyrie of the Triumvirate. In addition to this, if you are of clan affiliation, you may draw agro from the other omni aligned mobs present at the location. 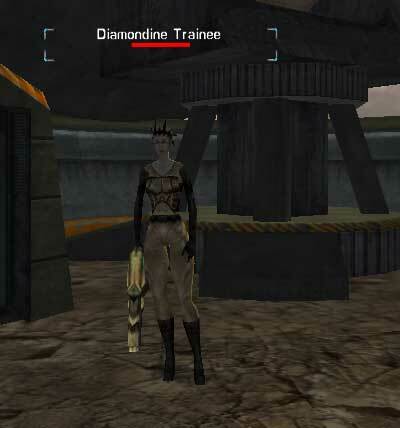 The Diamondine Trainee is a placeholder for the Diamondine Soldier. The trainee was UBT-able and didn't appear to have any particular tricks up her sleeves, apart from shooting quite hard! The trainee can drop the Diamond-Matrix Mesh, which is the upgrade needed for the Mantis Weapons. However, it is not a guaranteed 100% drop.. on the occasion we were there, we managed to get some very unuseful Nadir armour.. at least the shop vendors might like it! Once the Trainee has been killed, a 15 minute period later you are in with a chance of the Diamondine Soldier spawning. 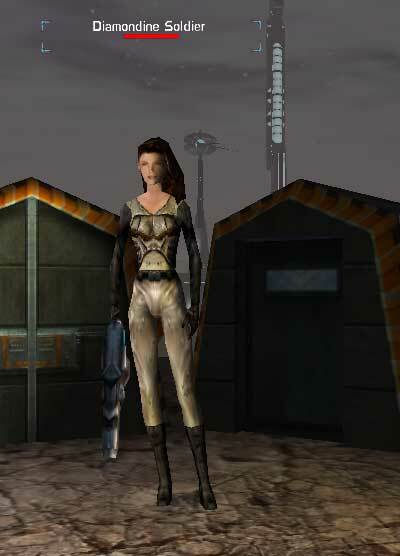 On spawn of the Soldier, we found that UBT was not happening, although if you are able to UBT her, please let us know! Researched by Ukblizzard and Uragon.